This Halloween, a neighborhood in south Austin, Texas, saw a sliver of the „Harry Potter“ universe come to life. 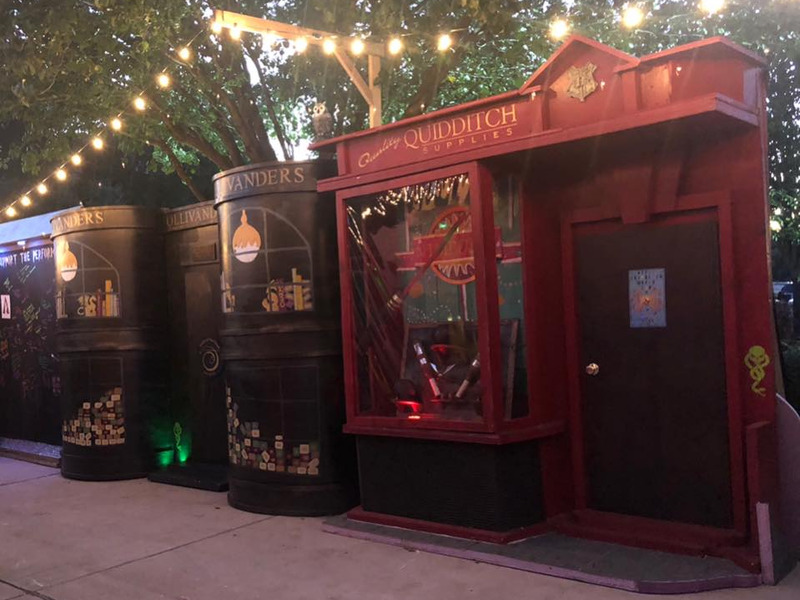 With some help from friends and neighbors, Joel and Amanda Pace worked for months to transform their driveway and house into Diagon Alley, complete with shops like Ollivanders and Quality Quidditch Supplies. Below, take a closer look at the Pace family’s magical project. Joel started building displays back in June. An attorney at Levatino Pace PLLC, Joel also got help from his wife, Amanda, as well as neighbors, friends, and local theater students who designed graphics. This is the third year the Pace family have created „Harry Potter“-themed Halloween decorations. But it’s the first time they went all out, Joel told INSIDER. Joel, his wife Amanda, and their son Grant are longtime „Harry Potter“ fans.